We’ve got a lot to get through, so i’ll keep this intro short but there’s a few things to take into consideration with this. This is a short (HAHA) write up to accompany our podcast series rolling out every day this week and so will only really focus on the winners of each category mentioned. If you want to know more about why they and the runners up were chosen then listening to our podcast series is highly recommended. You can find links to them pretty much everywhere on the site or find us on iTunes, Overcast or whatever your podcast app of choice is. If you listened to the podcast and noticed that we didn’t mention a game you feel really strongly about let us know! Comment on one of these posts, send us a tweet @GlitchFreeGame or an email at podcast@Glitchfreegaming.com and we’ll try to check it out! We’re always interested in new games. Finally, these are just our opinions (largely mine, because I wrote it.) Enjoy Day Two of our Game Of The Year awards. Sim City has been dead for a long time. We’ve all known it, last year’s abomination of a Sim City game was just a cruel reminder that a beloved series was gone and never coming back (at least in a way that anyone would want.) 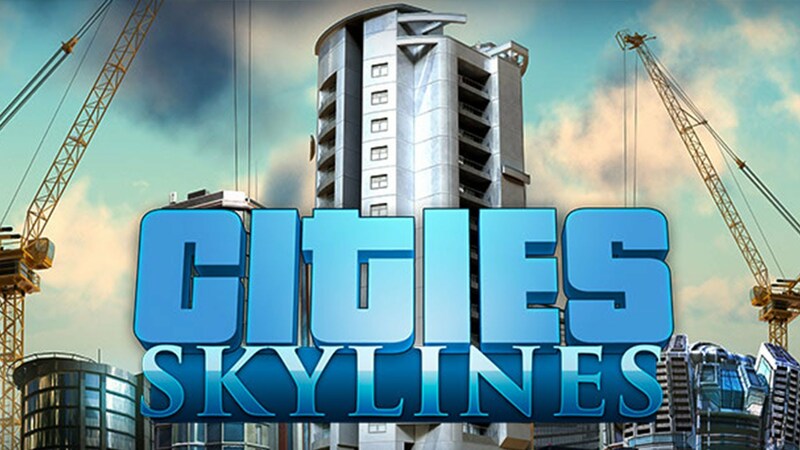 Cities Skylines kinda came out of nowhere for us at GFG, a full blown City building game from the guys who brought us Cities In Motion? It’s like the old Sim City games with a lot of amazing modernisations and innovations? I can pump sewage into the water supply? We were sold instantly, Paul bought goddamn gaming laptop just to play it. Between us this might actually be the game we put the most time into this year. My cities might be a half burnt down mess because I’m really really bad at laying out roads, so fire engines get stuck in traffic forever but I like them. Just don’t drink the water. Whether music is good or not is even more subjective than games. If a game comes out and is straight up goddamn broken, it’s an objectively bad game. Music isn’t that simple and it doesn’t help that music in a game can mean different things to you depending on how you play. Regardless of all this, The Witcher 3 has a soundtrack that hits every emotion it needs to while being amazing to listen to on its own, even without the game. 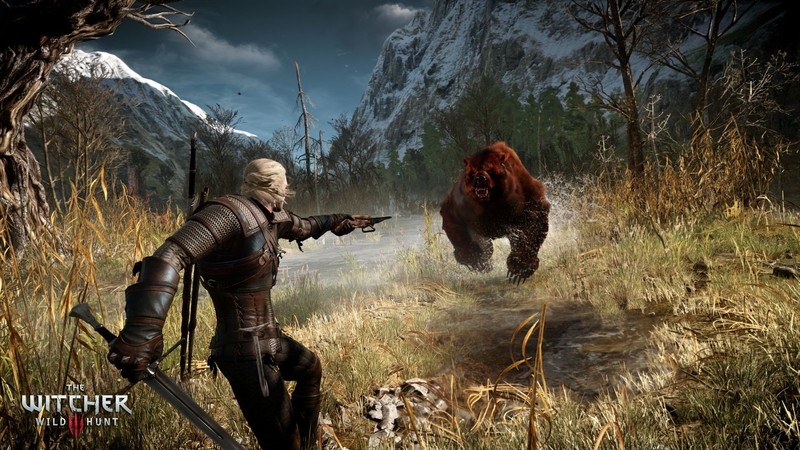 In game, it speeds up in the thrill of battle, it gets moody and emotional in the darker moments, some hints of horror sneak in when you are hunting a large beast or encountering The Crones. It’s big, it’s varied and it’s also kinda the only one we could all agree on loving. Listen to the podcast on this one in particular, Bloodborne and Until Dawn were runners up because blood was nearly shed. Similar to Cities Skylines (and a lot of games this year actually) Rocket League came out of nowhere. The developers had made one small game on PS3 (which I played and disliked) and none of us knew about Rocket League at all. Then it came out on PS+, we downloaded it and it took over all our time, just like everyone else’s. 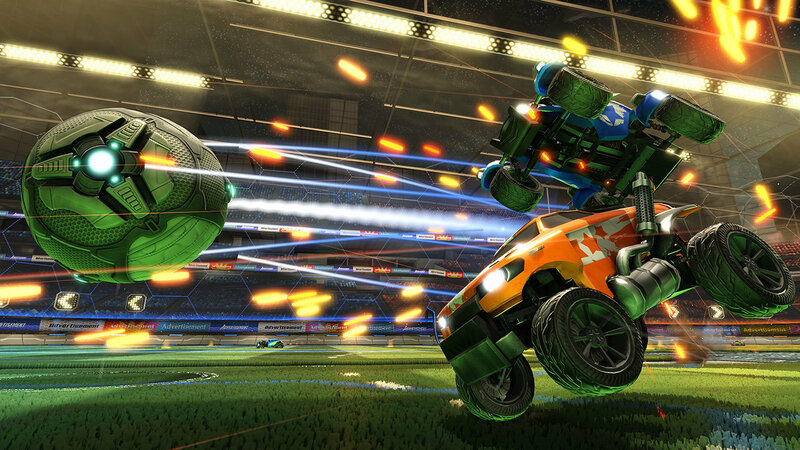 Rocket League makes football fun for those of us who aren’t super into football. The silly acrobatics of the RC-like cars and the surprising amount of skill and team co-ordination required for success is such a great mix which results in a game that is really goofy and fun to play with enough depth to be interesting for a long time. I still go back to it here and there and am constantly surprised by the new content being constantly added. So, it’s a good surprise and a continuing one! This kinda ended up becoming the “Horror/Creepy” category this year but it was a damn good year for it. 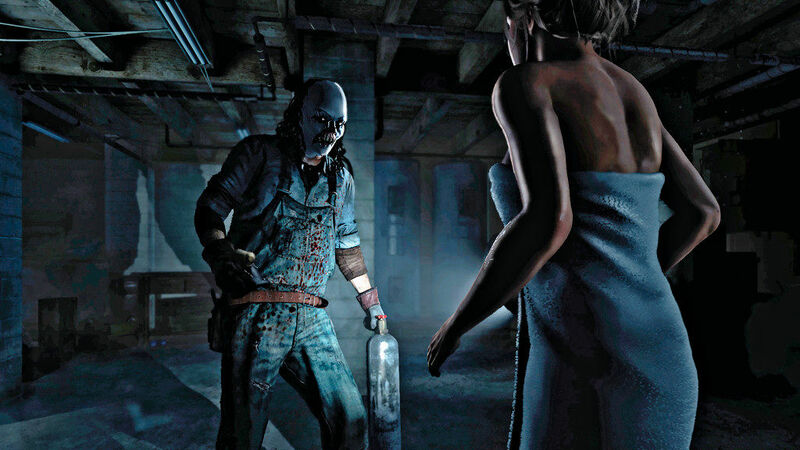 Until Dawn captures the campy teen slasher feel in such a crazy awesome way that even as someone who generally isn’t a big fan of the quick time event heavy, Heavy Rain-ish type of game I was super into Until Dawn. The characters are mostly unlikeable in the way that they always are in those type of films by fitting into the familiar archetypes we all know and love to such a degree that it channels a lot of Cabin in The Woods although it never goes full deconstruction like that. It’s a fun, brutal teen slasher film molded expertly into a game and given its origins as a Move game that was delayed a billion years and eventually became this? It’s nothing short of a miracle that it’s good, nevermind great. This was the year that Nintendo released the two games which justified every Wii U owner’s purchase. The first was Splatoon but more importantly they released Mario Maker. 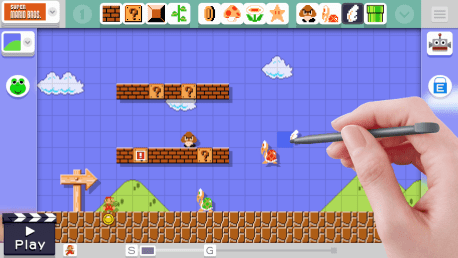 Mario Maker’s level editor is one of the easiest and most fun to use level editors I’ve ever played with (and it does indeed feel like playing) and because of it, Nintendo’s servers are now jam packed with thousands of Mario levels split across Super Mario Bros, SMB3, SM World, and New SMB for players to jump into. If you have no interest in making levels and just want to play levels, there are so many being made that you can just get into the 100 Mario Challenge (the random mode) and play a bunch of people’s levels. A lot of them are pretty good too! It’s just fantastic, Mario continues to be one of the best playing platforming series of all time, so infinite levels is a pretty great proposal. Finally, I get to rant about how good MGSV is! 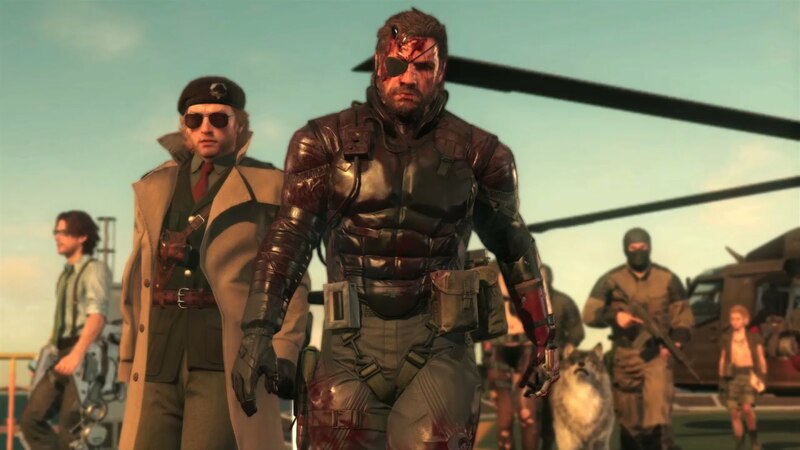 The Phantom Pain takes MGS into an open world setting, adding crazy amounts of content and more freedom than any open world game before it in how to tackle objectives and missions. You want to go in guns blazing? Go ahead, that’s reasonable. You want to only use guns in emergencies and instead go in throwing empty magazines to distract enemies and knocking them out with your CQC skills? I did that for the most part, so sure go for it. Just the sheer amount of choice you have over everything you do and also how well every single part of it controls is just brilliant. If the story and in particular Chapter 2 didn’t kinda just fizzle and feel somewhat unfinished this game would be perfect. And I mean perfect. Paper Jam Bros is the latest releasing game of this year to be featured in our awards, I think. It’s also the only portable game to make it into my personal list. 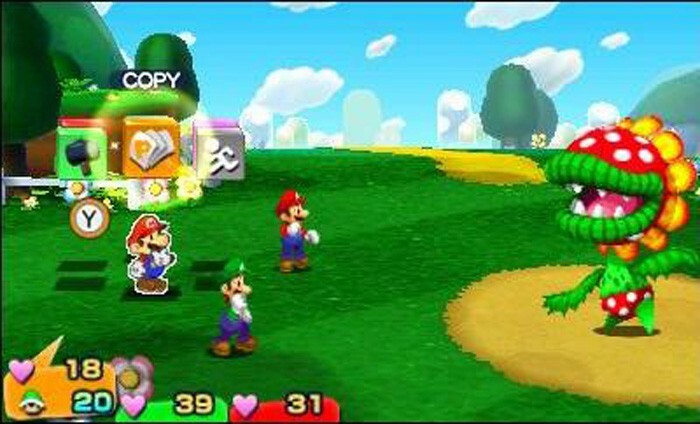 The Mario and Luigi series has been around since the GBA and while they haven’t changed that much they have been consistently fantastic in both writing and gameplay to the point where it seems impossible for them to release a bad one. Paper Mario on the other hand had one fantastic RPG then a sequel on the Gamecube which to this day would rank up there as one of my favourite RPGs of all time, The Thousand Year Door. And then some kinda crappy spin offs. It’s so good to see the Paper Mario world back in a full fledged RPG and the combination of it with Mario And Luigi’s style of humour and comical dialogue is just fun from start to finish. It has some issues, the story is a bit straight forward and there’s not a whole lot of originality like the previous games had but I had a goddamn smile on my face the whole time I played it and that’s got to count for something. It’s really weird to be giving an award to both The Witcher 3 and a massive DLC/Expansion for it in the same year but Heart Of Stone is just that good. It’s pretty great across the board with a story that is as good as if not better than some of the best story arcs in the base game, introducing fantastic and rich new characters (and bringing back a fan favourite from the first game) and has some pretty awesome boss fights and cool new gear to unlock. This isn’t why it’s on here. It’s on here because CDProjekt did what other RPG developers have failed in recent years to do with their DLC, especially the first batch for a game. Look at the Mass Effect DLC, the Dragon Age DLC, the Fallout 3 DLC, etc etc. What’s the common issue? they all focus way more on combat than the base game does. They drop the best parts of the game, the lengthy and interesting story and dialog (well, maybe less so in Fallout…) and replace it with tons of enemies (or in Mass Effect, vehicle sections) and generally just feel like they cash in on the easiest part of the games to make more of. Later in the game’s lifecycle we usually get the more in depth DLC. The Witcher 3 came out this year. It was and is praised for having a crazy high amount of content so it’s not like this was some kind of thing cut from the base game. Yet it’s so in depth, it has a stupid amount of dialog, tons of story, there are multiple sections of it that purposefully avoid combat and focus on the bits that really make The Witcher 3 great. Like Gwent, they added more Gwent. And music, our best Soundtrack award went to this game and the added more music. And I think I like it better than the base soundtrack! Basically it’s awesome. Anyway, that’s my rant to go aside today’s podcast. Go listen to that to get more of the other guys also ranting. I think i conveyed the overall tone pretty well but go find out for yourself! I’m just happy I snuck DB Xenoverse into one of these lists, it’s a damn fine game.